From expediting invoicing to securely sharing engineering drawings, Nitro helps manufacturing firms digitize processes and streamline daily workflows so that your teams can produce more. See how Howden Group uses Nitro to succeed. 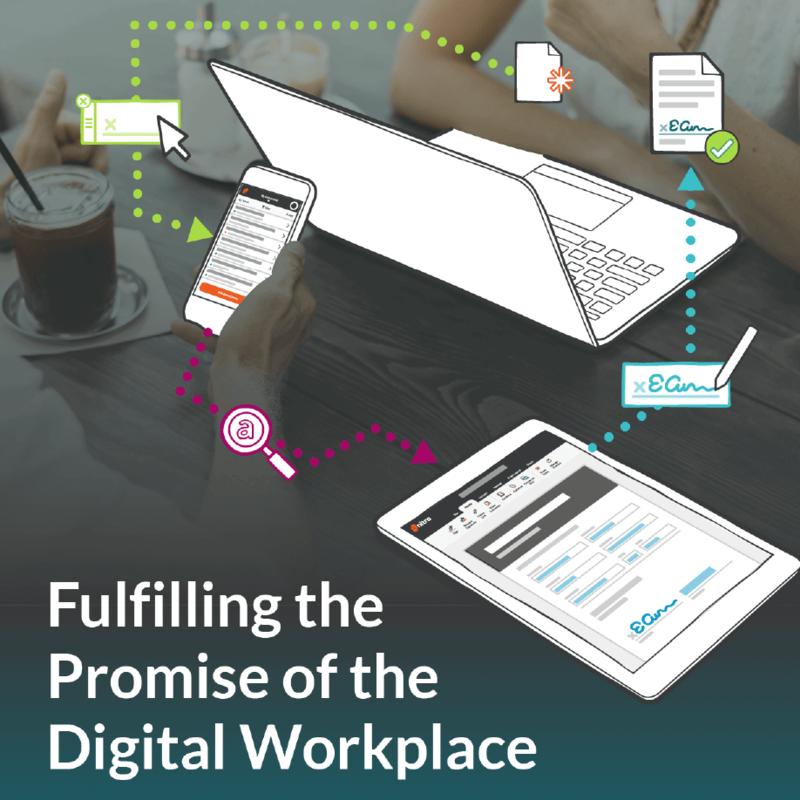 By equipping every knowledge worker with the right tools, businesses can finally deliver on the digital promise. This eBook reveals key misconceptions, steps, and strategies to help you prioritize and achieve your digital goals. 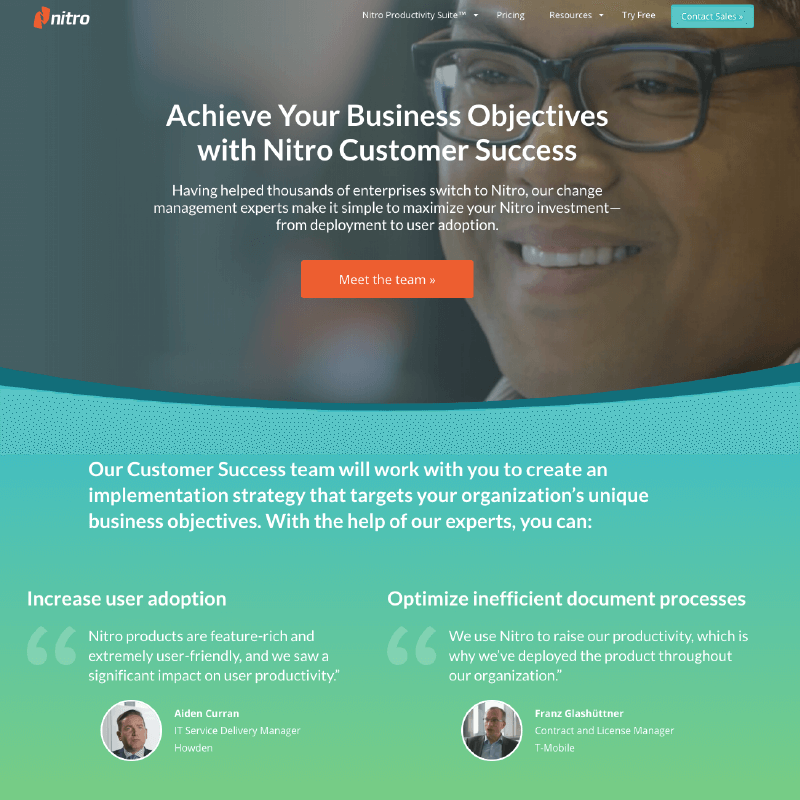 Whether it’s advancing digital transformation, enhancing efficiency, or accelerating sales cycles, Nitro keeps our customers’ goals at the heart of all we do. Discover the impact we’ve had on T-Mobile Austria, JLL Australia, Continental, and more. 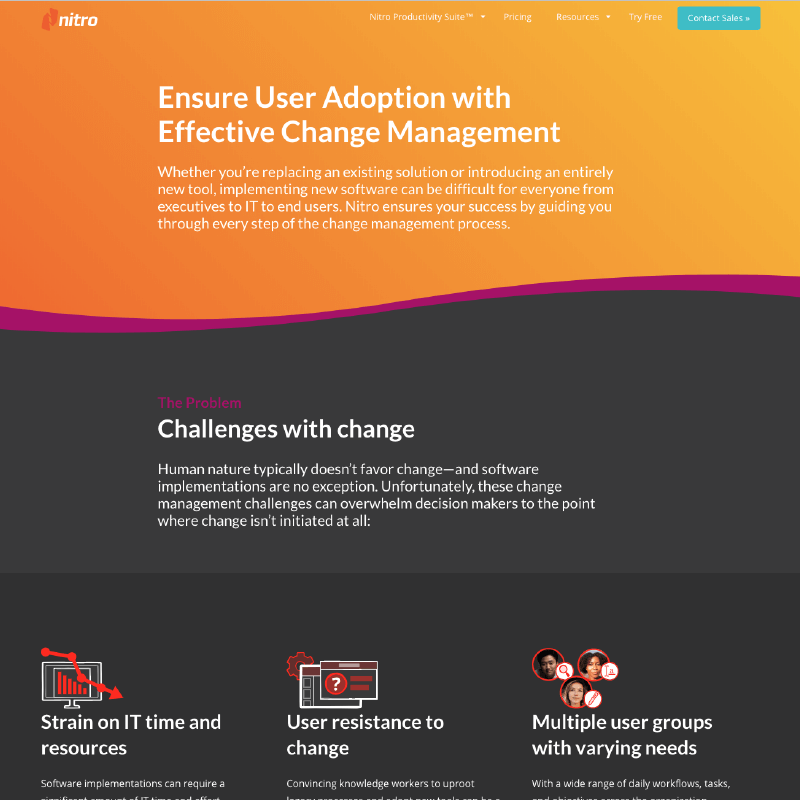 In assisting hundreds of thousands of businesses transition to Nitro, we help customers increase user adoption and manage change throughout every step of the implementation process—from onboarding and user training to evaluation and ongoing support. 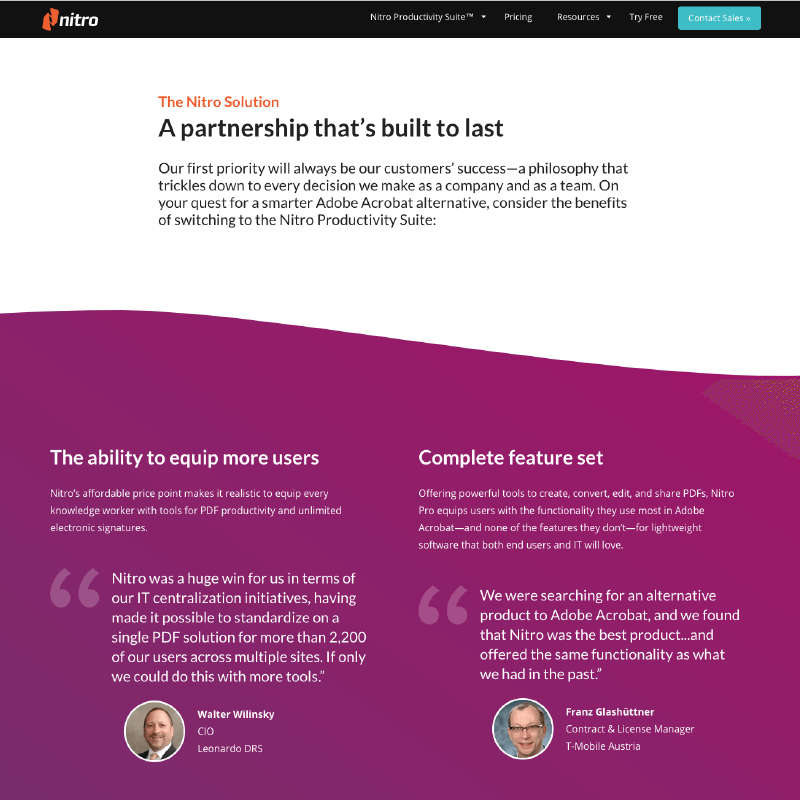 As the first and leading replacement for Adobe Acrobat, Nitro provides users with the same PDF functionality—while allowing organizations to equip significantly more users and cut costs by an average of 50%.